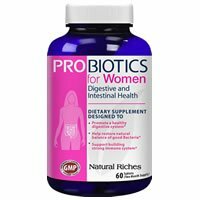 I gave Natural Riches Probiotics for Women 1 out of 5 stars because I really don’t like it. I have quite a few issues with it that lead to my low rating. To start off, I don’t like the tablets at all. They are oval shaped and for some reason kept getting stuck in my throat when I tried swallowing them. It was definitely a pain to get them down. You also have to take 1-2 tablets per day and on an empty stomach. The tablets only have 1 probiotic strain and unfortunately, it’s one that I don’t like. I saw side effects when taking this probiotic such as belly pain and bloating. This supplement is not diverse at all and I didn’t see any improvement in my digestive health or with my Irritable Bowel Syndrome symptoms. It can also get a little pricey if you take 2 tablets per day. I also don’t like that it doesn’t explicitly list allergy concerns. I searched the bottle and the website and there’s a huge lack of information of it that makes me worry. The few things I like about this probiotic are that you don’t have to refrigerate it, it has a prebiotic, and it has a lifetime money back guarantee. Overall, this probiotic totally fell flat for me. Natural Riches Probiotics for Women has 15 billion CFU in 1 probiotic strain. The only strain used is Bacillus Coagulans. Unfortunately, I’m not a fan of this particular strain. 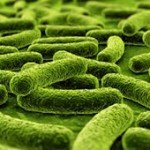 This probiotic has been known to create spores in the body that may lead to negative side effects. These side effects include bloating, diarrhea, gas, and belly pain. I almost always see these side effects when this strain is present. However, this strain has been studied to potentially help with the symptoms that come along with Irritable Bowel Syndrome (IBS) and inflammatory bowel disease such as stomach pain and bloating. It may also help boost immune function and keep the bacteria levels in the body in check. This probiotic also uses Fructooligosaccharide, which is a prebiotic that feeds the good bacteria in the body. 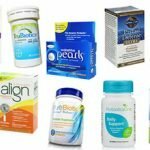 Natural Riches Probiotics for Women doesn’t have any allergy concerns listed. 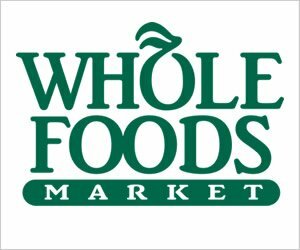 I looked on their website and couldn’t find any allergen information. It’s hard to tell if there’s any allergy concerns. Normally companies state it clearly if something isn’t in it such as gluten, soy, or milk. So I’d say if you’re really sensitive or allergic to anything, be careful with this one. You could also call or email their customer service department and ask about specific allergy concerns. The other ingredients include: Microcrystalline cellulose, dicalcium phosphate, stearic acid, croscarmellose sodium, magnesium stearate, silicon dioxide, Ns enteric clear, deionized water, eastacryl 30D kollicoat mae 30, plasacryl, and propylene glycol. It costs $18.95 for a bottle of 60 tablets, but you also have to pay $5.95 for shipping. 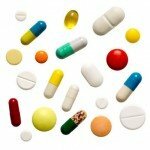 Depending on if you take 1 or 2 tablets daily, it will last you 30-60 days. Once you break that down, it works out to $0.41 – $0.83 per day to take. If you just take 1 daily, it’s very affordable but 2 daily pushes it a little higher than average. I really don’t think it’s a good price for the value. I wouldn’t ever buy this probiotic again. I suggest saving your money and using it on a better product that has more diversity. I experienced some negative side effects when taking this probiotic. It uses only 1 strain and unfortunately that particular strain usually causes side effects for me. I saw some belly bloating and also had a stomachache. One of the only things I like about this probiotic is the guarantee. They offer a 100% lifetime money back guarantee! I really appreciate when a company can offer such an awesome guarantee for their customers. To buy Natural Riches Probiotics for Women, click here.